I think we think submission is always a bad thing. It’s not. When we typically think of submission we think of losing in a rink where we are wrestling with another guy and we submit to him only to lose in the end. And yes submission requires and assumes some form of loss. But submission also has gain. It teaches us about authority, self-governance, and even safety. For example when we submit to someone we trust and assume they have our best interest in mind, often we discover the value of trust, love, and relationship with others, the goal is not exclusively winning but find new ways to win with others. Welcome to ManTalk. My name is Vince Miller. I'm your founder and host. Good to be with you today. We're excited to be in this new series with you. It's entitled 30 virtues that build a man today. We're looking at the lesson entitled submission. I'm excited to have Chris Koelzer with me today. Thanks for being with us, Chris. Thank you. This. This is, this guy works with T-6 Victory and is an amazing man. I've really gotten to know you over the last maybe 10 years or so, but you know, I would love for you to tell guys a little bit about T-6 Victory because it is a fantastic concept on teaching businesses leadership and business principles. Share with us about T-6. Sure, sure. Uh, my, my partners and I are former military pilots and we started T-6 Victory with the intent of taking what we had learned in the military and then we had applied to business over our business careers and taking that to corporate America. And really it, it, uh, it boils down to one word and that's trust the trust we learned in the, in the military. And how that creates uncommon value and how businesses, companies, teams of any size, shape or mission can use that to deepen their relationships and in and create greater value for their clients. So I remember this was maybe about a year ago now or so when [inaudible] began, you took me up on a flight, right? And so you use this kind of flight experience. So now I'm getting to fly with an FAA team pilot, right? Former fat pilot. Right? And so now I'm going up on a plane with you and you're walking me through an experience of really understanding leadership by being a passenger in your plane. And I thought it was fantastic by the way. I'd highly recommend it for everybody, but I was amazed by the number of business principles I learned in a one hour experience with you right from the beginning to the end. And I will never forget as long as I'm living, you're coaching me through the experience in this really old military plane, right? And you sent me down, I put on my jumpsuit, I start to strap in and you're explaining to me what's going to happen if something tragic happens with this plane and you're going to. You're teaching me how to parachute out of this plane. And I got, I got to tell you, I am dialed in at that moment because in this moment I realized, wow, this is really serious. I Better Trust Chris Kelzer my pilot at this moment. And I was tuned in. So talk to us a little bit about submission and trust. How is submission relate to trust? I think trust is the core of submission because at that point you submitted yourself as a passenger in the aircraft. Uh, only because you decided to trust me. You could've said, hey, I don't like all this. Talk about jumping out of airplanes and ditching and water and fires and everything else and said, I'm Outta here. But you made the decision having never flown with me before that you listened to the briefing and what? And I sounded like I knew what I was talking about apparently. And you decided to trust me and go flying. So you submitted to me in that, in that respect as a crewmate, you were really part of the crew. We were a team. Two people in an airplane, a team. And then we didn't just fly ourselves. Right. What did we do when we took off? well, these procedures and stuff that you, that pilots do on a daily basis and it can be mimicked in any business environment. But then when we took off we went and what were. Remember our mission was a flyover memorial flyover with four total airplanes. So now you have not just our team, the Chris and Vince team and our airplane, but we joined one more airplane and now we're a team of teams. We got two different teams who's another aircraft with two people in it. And then three and four, we have four airplanes. We became this team of teams. All of us have to trust everybody else implicitly, literally with our lives and that in that environment. which is a trust. Now. Uh, the second moment I remember about going up with T-6 Victory was a, we were flying in formation, I think Kurt Brown was in the lead and we were kind of in the fourth position on the right side and I just remember this moment, it's so vivid to me, but I remember you were holding onto the stick. I could see you in front of me, but your eyes were not only locked on your surroundings, you were locked on Kurt. I mean in that primary position, you guys were all just kinda focused on him. And I was blown away by the amount of focus, trust, submission. That all became real. To me. It was like the beauty of this formation in the beauty of flying this mission, which was a bomber mission by the way, which is way fun. That was a, was learning how much we rely upon each other at that moment that that is really burned on my memory. I haven't forgotten it's been a year, but I still remember how dead focused you were on looking at him while you're holding the stick. Aware of your surroundings, but fully submitted to his path direction. Is that the path he chose to fly in the air? That, that was really good. That was really good. I think for me to see the value of it now, uh, why is it important to submit from your perspective, especially in moments like that? Well, let's drag it will draw back to that because that close formation flying, uh, is indicative or is symbolic of any situation, whether it's a marriage, a family, a business environment. You got two people, four people, 4,000 people. I'm in that place. We were flying so tight where everything Kurt did, I had to mimic if he, if his wind came to degrees down to the right hours, had to come to two degrees down to the right and there was no flexibility. It was almost rigid. Submission to my eyes were locked on him because if I looked away for more than a second, he could do something and it could be disastrous, so I had to focus on him completely and trust him for his vision, where we're going, what the mission was, all those kinds of things, but then depending on the level of trust within our organization or the surroundings, the mission, whatever you're trying to accomplish, you can. You can loosen up those parameters to where now if we had taken it out to 50 yards or half a mile, we're still a formation. We're still submitted to Kurt and everybody else says, but now we have some more flexibility to maneuver, so you can. You can take that into a business environment where instead of having a leader that completely controls everything their people are doing in a close formation kind of a mindset. You can empower them with agility to think on their own, act on their own, be autonomous and take advantage of that. That's one of the things I love about Ti six victory and what it's teaching people is it's not. It's teaching how you're using the tools and the tactics and the techniques of your trade is an epic team pilot. You're passing those onto business leaders to help them to understand how to leverage these same things in a very memorable way with their businesses. Right? Just like you said, they're, you're translating is all in a business language and using it to train people in a memorable way. I, I'll be honest with you, I'll never forget that for the rest of my life, and now you fused in these lessons like on submission here into my life that I'll never forget and how valuable that is as a leader now today, I know from our book 30 virtues that build a man where we're looking at a text from Romans here and we're clearly, we're talking about how God is the ultimate authority that we have to have ultimate authority our life. And I think for, for many guys, this is, this is really a challenge, right? I mean, it's really a challenge for us to submit to authority. Um, I know that I found it to be a challenge in my life, but I think what God is saying is I've established certain authorities in life and you need to trust them. And clearly, from this text, we understand that God has established the authority of government by his hand and we're called to submit to that. Uh, I, I think most guys really struggle with this. Well, how do you do that on a daily basis? How do you make submission habitual, uh, and strive for excellence in the way you submit? And, and where do you get the motivation to do that? Yeah, exactly. So I think this is really where my relationship with Christ began. Chris was understanding that I've tried living on my own right and it doesn't work all that great to be quite honest. I, as the master of my own domain and then as the driver of my own car and ship, I, I've, I've, I've struggled to learn that by happenstance and by failure that me being in, designing my path through life doesn't work. And of course, I think many men come to a moment in their life where they discover that, yeah, I thought my plan was going to work, but it doesn't work. And the beauty of God is that God is right all the time, right? Truth is all, all truth is God's truth, and he's right every single time. And so I had to at some moment in my life, advocate my ways and really begin to trust in God. And I think that's where submission begins. That's where it began with me, is realizing that truth can't be found. Really, I would say in these are deep words here within my own subjective reality. I'm going to have to find truth outside of myself. Right? And that's when I came to discover that God had designed a way to live life for men. That he is really the creator of man, so he knows the best way for a man to live and therefore I just had to at some point submit to him. And I found that Jesus was that model man that I was really wanting to model my life after. And he lived in perfect submission to God in all, in all aspects. And uh, that, that is really what drew me into the Christian kingdom was I was looking for something greater than myself to trust in so that, that's probably okay. trust in something greater than our selves, but it's still a habitual daily thing. We go into daily habitual actions and we have tools for that and t six victory. But, but looking at from a, from a Gospel-centered Christian standpoint, how do you think, what do you think is the best way on a daily basis to just keep coming back to that touchstone or that wellspring of trust increasing your submission and your ability to submit to Christ or the Lord? You know, I think guys out there probably need to hear these kinds of things, but I think that if we begin every day by submitting to God first and understanding of that in that first relationship, that is where submission begins. Then submitting throughout our day gets easier. I think we rebel against submission deep in our heart. Natural man. That's, that's the natural man. Our, our, our human spirit opposes God's away. We, we just are unwilling to admit it sometimes. And I think by just kind of blindly submitting to little things in our life, like once in a while, I would say submitting to our boss blindly and learning, right? That impulse, I think we grow and submission. Um, you know, every boss isn't perfect, right? But sometimes it's not about submitting to the person, it's about the heart, right? Submitting to something outside of ourselves, right? It has less to do with the person on the other side and more about the person inside. And that's especially true by Romans 12 government. Exactly. And while we want to complain about government, there's something about it that God has still designed that's beautiful. God designed that God designed marriage, he designed the church, he designed man, he designed the government and there's part of us that just needs to submit and trust. There's your word again, trust him for all things, and so I think it just beginning today was saying, God, even if I don't get my way, I'm going to trust you. Maybe try this. I think guys could even try this. God, what are you trying to teach me through this circumstance? Rather than rebel against moments and refused to submit to an evil boss? 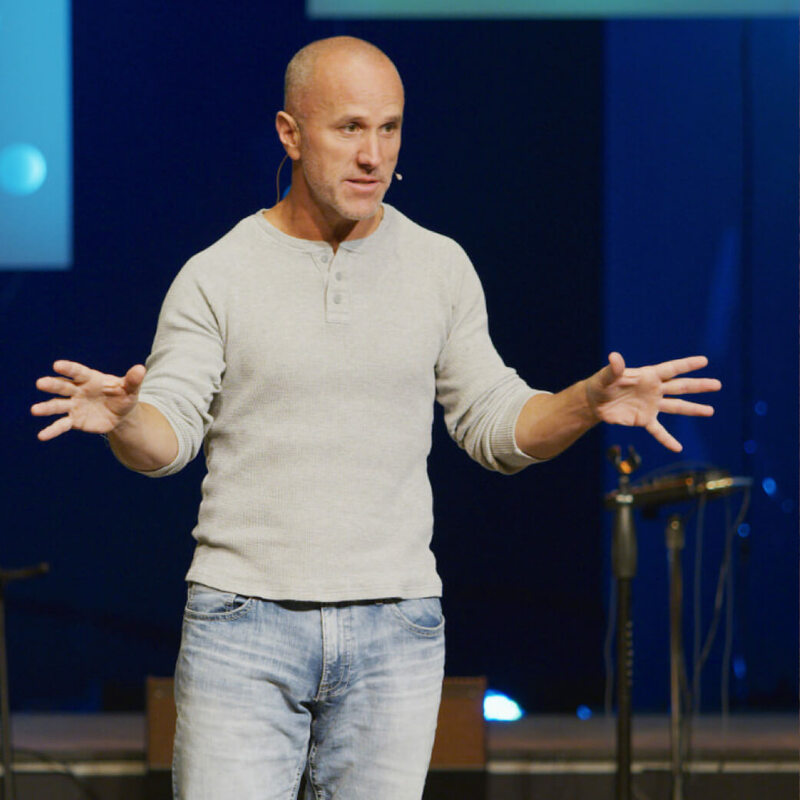 Maybe it's learning what God is calling us to submit to, even though we have maybe what feels like to be an evil, manipulative boss and looking for the greater good that God is trying to teach us through. How does he want to submit? What does that look like? And searching for that. I think have more guys found it then, man, we'd be better men in the end. So guys, uh, just want to say thank you for being with us. Chris, thanks so much. I really appreciate what you do. 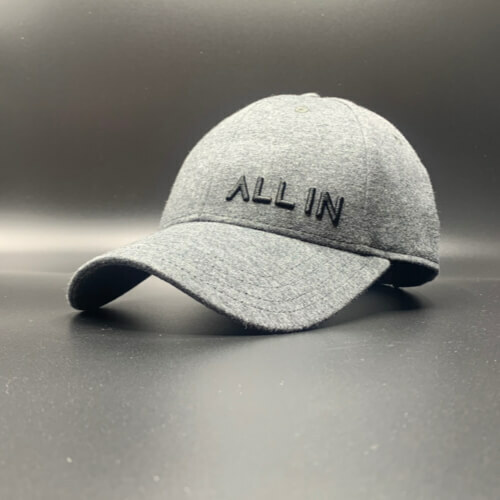 Guys need to check out [inaudible] victory because it is an awesome opportunity to not only grow your leadership, but to really bring great business practices into maybe you're a small, medium, large size business and use it as a training vehicle for guys. You guys got to go up with, go up with an FAA 18 pilot. It will change your life. I promise you might bomb at a time or two. Try to avoid it, but I got to tell you what great lessons I've learned from you, Chris. 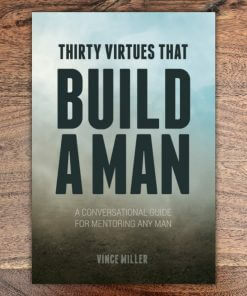 Really appreciate it and guys, if you're out there today, I want to highly encourage you to pick up a copy of 30 virtues that build a man. You can get it right from our website. That's www.beresolute.org/thirty. Go pick up the book today. Share it with another guy just like Chris and I are sharing and we'll see you right back here next time on another edition.